This cast brass vintage maritime light measures about 7 1/2 inches tall by 4 3/4 inches wide. 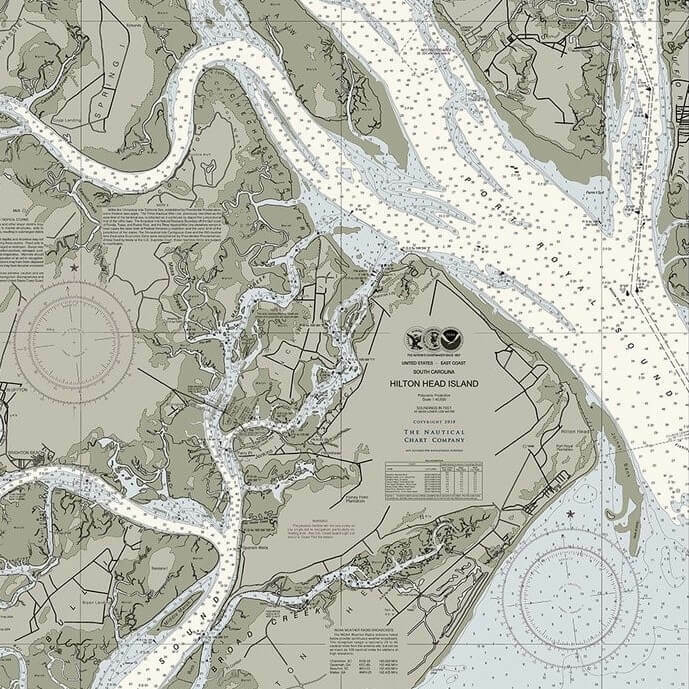 The base has three mounting lugs that will require a mounting space about 4 inches wide. We have installed brass caps in the old conduit openings. This light weighs just under 3 pounds. 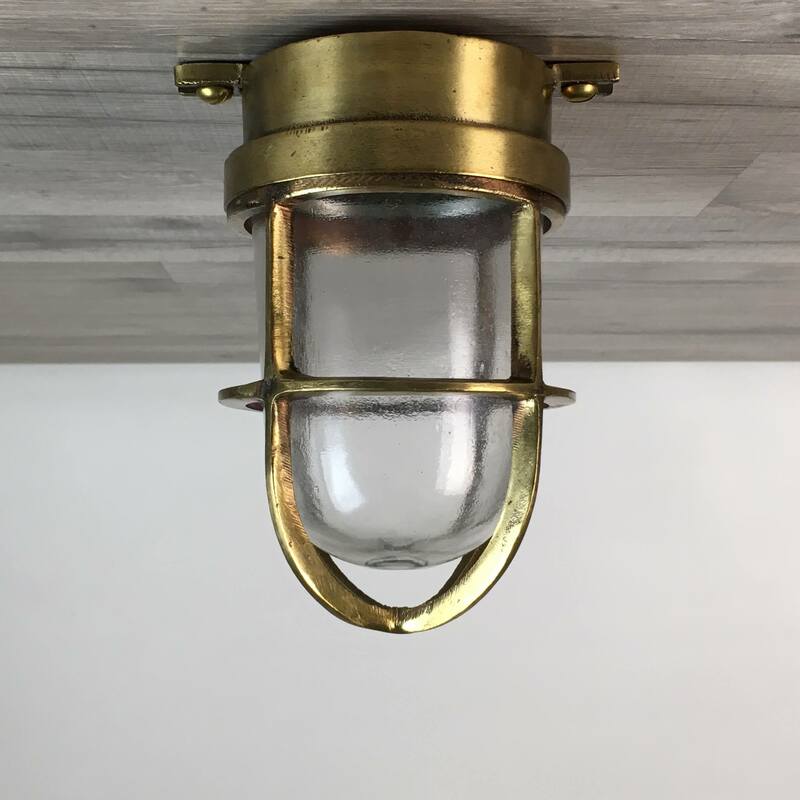 This solid brass vintage maritime light have been rewired with all new UL-listed parts that are rated to work with any voltage under 250 volts. The bulb socket take a medium base bulb of 60 watts or less. This light is weathered from use. 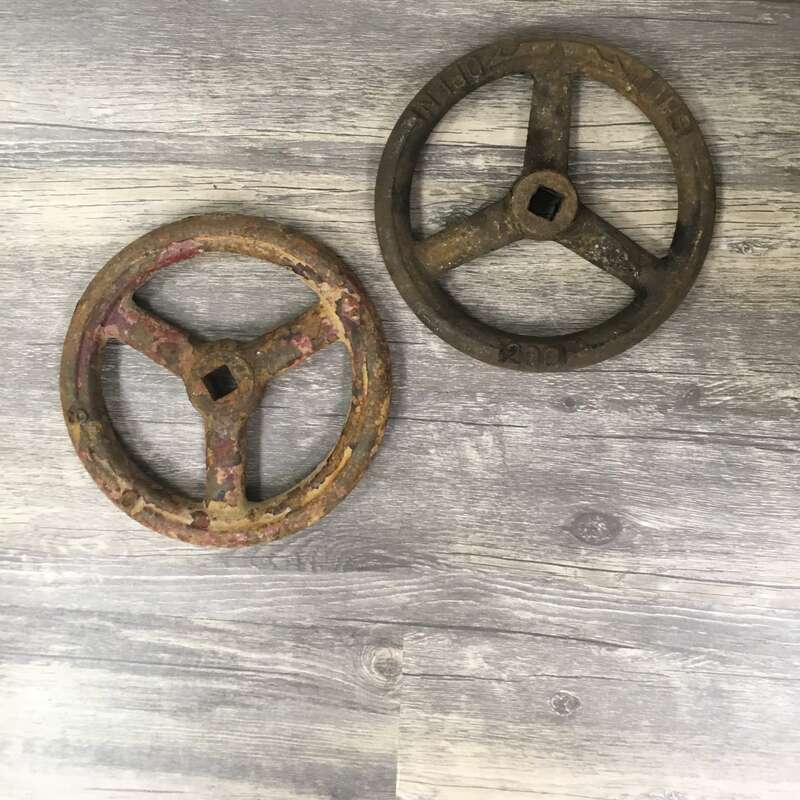 You will be shipped the three cast brass vintage maritime lights shown in the photos. For $20 extra we can add our 6 inch brass adaptor plates that should end the frustration of covering an existing junction box.